Michael Gracey’s directorial debut takes you through the life of P.T. Barnum and the creation of what we have come to know as Ringling Bros. and Barnum and Bailey Circus. Hugh Jackman, Zach Efron, Michelle Williams, Rebecca Ferguson and Zendaya round out the main cast. Benji Pasek and Justin Paul wrote the films entire soundtrack. The duo also wrote 2016’s La La Land, which became an award winning power house and a beloved film among critics and fans alike. When it comes to certain roles, all I asked for is a good actor to be cast. Hugh Jackman is perfectly cast as Phineas Taylor(P.T.) Barnum. (I’d go by P.T. too if I had that name.) The way we see car salesmen and door to door for sales in years past, (Hell salesmen in general) seem to originate here with P.T. selling entertainment. Turning the different and strange into a spectacle. You learn facts about his upbringing and details through montages. The many jobs P.T. had and the failure to launch his fantasy. I had no idea the first incarnation of the circus was a museum of oddities much like Ripley’s believe it or not. Throughout the film, Barnum seeks affirmation from a few people who he should not have to. One being P.T.’s wife, Charity’s (Williams) father, whom Barnum’s father worked for as a suit tailor while P.T. was a young boy. At every level of successful Barnum has, he rubs his father in law’s face into that success. It doesn’t help matters Mr. Hallett feeds the fire that Barnum will always be “A tailor’s boy” in his eyes. There is also critic of the New York Herald who pans Barnum’s show. (He also coins the term Circus to describe the show, which is what we) This bothers P.T., despite the intoxicating applause of the crowd that witnesses his show every night and the money he makes hand over fist. P.T.’s motivation is not only financial but also wanting a life promised to his two daughters and wife. While this is P.T.’s story, there is also a romance between Philip and Zendaya’s Anne Wheeler character, a trapeze artist for the circus. As this story is happening at a different time in history, race and social classes are huge road blocks that Anne has no problem going through but Carlyle flip flops during the movie. One scene between Anne and Philip has them go back and forth. To be honest, I felt the actors were reverting to their Disney channel acting levels. There is a moment at the end of the 2nd act that solidifies Philip’s choice to be with or without Anne. Up till that moment, I wasn’t sold on the feelings they both had for each other. While the performances and music are palm shell fire works, the story is a sparkler. The messages that come across in the end of The Greatest Showman is acceptance. Not only physical acceptance and being who you are, but acceptance of what you have and knowing when enough is enough. My problem with that is in the end, P.T. Barnum’s circus becomes what we know today as the greatest show on earth. 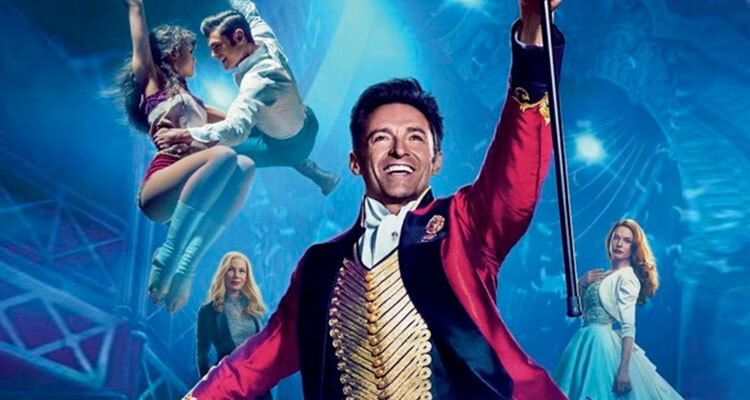 The Greatest Showman is a good choice for counter programming this holiday season that features yet again a certain beloved intergalactic franchise and a relaunch of a childhood favorite from the 90’s. Now as someone who doesn’t watch many musicals, I was entertained enough to have a good time. with this review going up on a site that the main demographic looks for action, sci fi, comedy and comic book films. Take a chance on The Greatest Showman. Be open minded. It’s a good watch for a date or taking your family during this holiday.